Get 10% off your next order at Rieker with this exclusive promotional discount code. Rieker proudly present this discount code to all TroopScout users: serving members, ex-forces, and family. 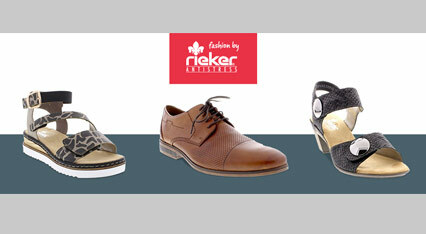 Click ‘Get Code’ to get the voucher code and open the Rieker website. Once you’ve selected the items you want, click ‘Add to Bag’. When you’re ready to purchase your items, click on the basket icon in the top right corner of the screen. Click ‘Checkout’ in the drop down menu. Fill in your details as a new customer or log in as a returning customer. Click ‘Register’ to continue if you are a new customer. Select a delivery option. Click ‘Continue’. On the right hand side enter the TroopScout voucher code into the box labelled ‘Enter Offer Code’. Click ‘Apply’. Enter your payment details on the left and then click ‘Pay’ to finish. With its origins going way back to 1874, Rieker have since established themselves as a successful retailer producing high quality shoes that don’t compromise on style. Known for creating shoes that provide ultimate comfort and practicality, Rieker offer wide varieties of boots, sandals and shoes for men and women. What’s interesting is what sets Rieker apart from other footwear retailers; they are passionate about designing their own brand of shoes, always reacting swiftly to current trends. And that’s why you’ll find they sell more or less only their own products! With a great selection of styles on offer, you’ll be sure to find the perfect pair to compliment any occasion. Discover your new favourites with Rieker!